It can be difficult finding a comfortable position for breastfeeding your baby. 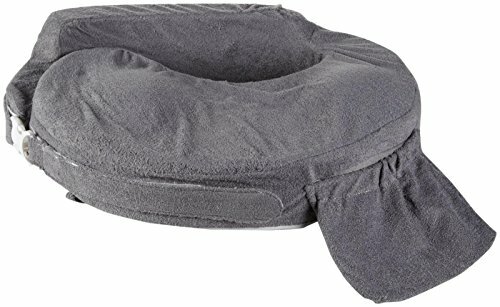 If you are experiencing aching, burning, or stabbing pain from sore arms and wrists, a nursing pillow might be what you need to alleviate some weight. Breastfeeding for newborns can last anywhere between 1 to 2 years. The right pillow can help make breastfeeding easier and reduce pain during this time, then be used for sitting or sleeping for your baby afterwards. Let’s take a look at what the best nursing pillows are. 2 How Do You Use a Nursing Pillow Properly? 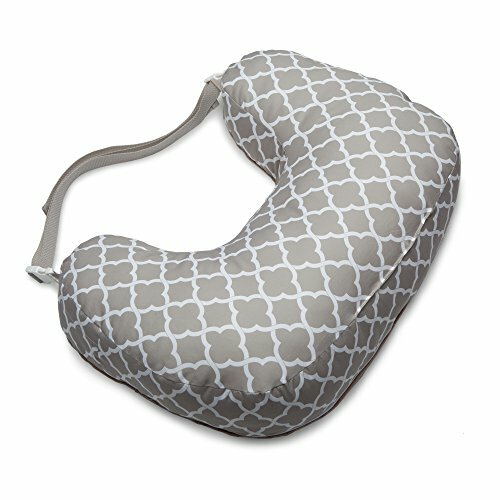 3 What Should I Look For in a Nursing Pillow? How Do You Use a Nursing Pillow Properly? Sitting on a comfortable chair – You can have your child positioned across your lap with your nursing pillow supporting your baby’s head and neck. This is especially important for newborns and young babies who have not developed their neck strength yet. Positioning your baby off to your side – You can feed your baby by holding him/her by your side under your arms like a football. Your nursing pillow can support you and your baby comfortably on the side. 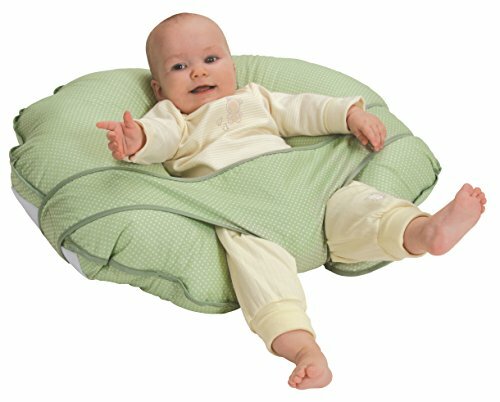 While lying on your back – Your nursing pillow can prop your baby at a comfortable angle. It can also prevent your baby from slipping off your chest during breastfeeding. 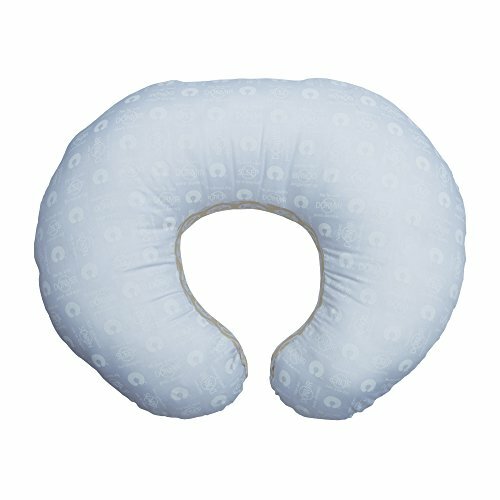 What Should I Look For in a Nursing Pillow? It fits comfortably: Most nursing pillows wrap around your body, so it needs to fit comfortably around you. It is thick: If you are breastfeeding your baby, it needs to be tall enough for your baby to latch on properly. Especially if you use your arms as well, the pillow must have the right height so you don’t have to bend forward and develop back and shoulder pain. Easy to clean: There can be a little accident sooner or later. We want a nursing pillow with a cover that can be taken off and thrown in a washing machine for easy cleaning. Extra storage pockets: When you know you need your nursing pillow often, some diapers, burp cloths, a water bottle, and your cell phone, you may want a nursing pillow that lets you carry all that in one go. Fancy designs: If you want a nice pleasing design for the eyes, you may want a pillow with color and pattern designs that match your taste. 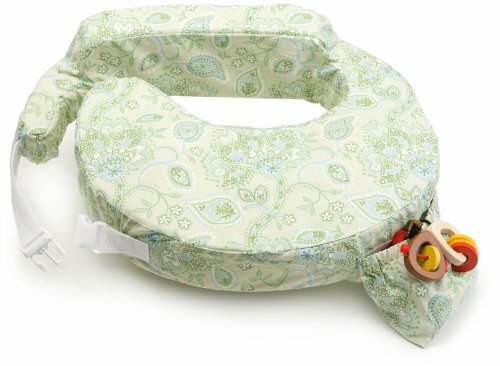 Safe and chemical free for the baby – The nursing pillow should be phthalate free, latex free, lead free, BPA free, and does not use fire retardants. Thick/tall enough and suitable shape for use – One of the common frustrations mommies have is when the baby slips into the gap between herself and the pillow. 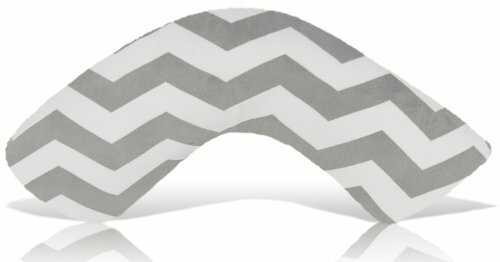 Depending on how you want to hold your baby and what position to place them in, you will want a pillow shape that will support your more comfortable position. The best nursing pillows are also thick/tall enough to support mommy when she sits upright on a chair and is holding her baby in her arms. 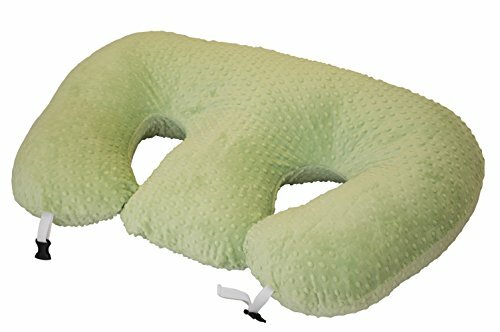 The most popular nursing pillow design is the crescent C-shape that goes around the body and support the baby in front and your lower back from behind. You may also want a pillow that can wrap around your body securely so it doesn’t slip off you. Fabric type for easy clean up – Most nursing pillows come with polyester and/or cotton fabric that prevents milk, projectiles, and accidents from seeping into the pillow. Since most mothers tend to support their baby still while resting their arms on the pillow, a waterproof and soft fabric makes it easier to clean any surprises. The fabric should preferably be removable for easy washing. Nursing surface size – Depending on the size of your baby, you may want a surface that is wide enough so he/she does not roll off or a hole that is just enough to fit their bum bums in and lay back comfortably. Versatility of the nursing pillow – Most nursing pillows allow for several positions and uses for the baby. Aside from nursing comfortably on the pillow and in your arms, most nursing pillows can wrap around your baby while they sit upright and enjoy their day. Comes with storage pockets – Some nursing pillows come with pockets for conveniently water bottles, burp cloths, diapers, or your cellphone. 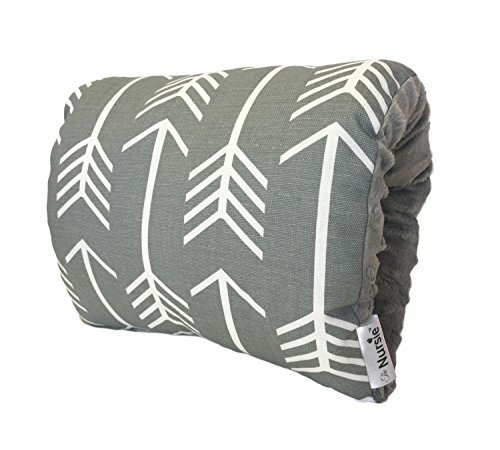 With pockets, you can carry the pillow around with everything else that you need when you are nursing your baby. Initial odor – There is an initial odor for pillows made from foam as they tend to be packaged in plastic to prevent any contamination. After a day of airing out, the pillow should not have any odor. Most pillows come with a fabric that also reduces any smell significantly. Non-removable cover – Some nursing pillows may not allow for a removable cover for safety reasons. This may make it difficult to clean any surprises or spilled milk and allow for air drying your covers. The pillows without removable covers tend to be extra comfortable for the baby. Lack of support for mommy – The last thing we want is a lack of support that causes back or neck pain for mommy. We are looking for a pillow to reduce the physical stress from holding our baby daily. A common complain is that a pillow may not provide adequate support for mommy, especially for the back and arms. Although nursing pillows are built to support your arms, sometimes an extra pillow to prop up your nursing pillow and an extra pillow behind your back against furniture can help with your posture and allow you to lean back comfortably. You might also want to consider pregnancy pillows or body pillows for support. 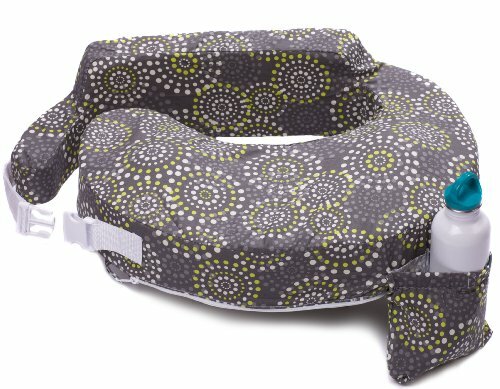 Ease of use – Some nursing pillows may use buckles and nylon straps for customizing the size and comfort when wrapped around mommy. Some consumers may find it difficult to use or have some nuisance having to flip their nursing pillow the right way as intended for use. Pillow surface too small or not stable – If a pillow is too big in design and doesn’t fit comfortably under your arms, your baby may roll off the pillow or fall into the gap between you and the nursing pillow. 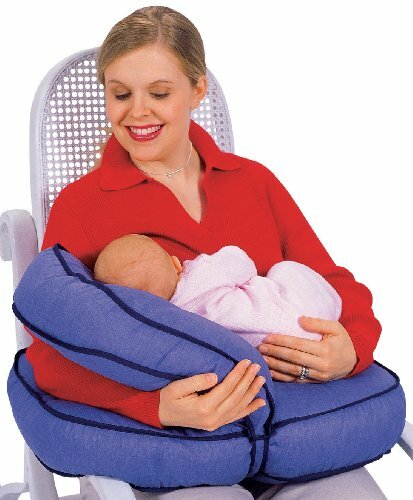 We want a nursing pillow that fits around you comfortably with a surface that can hold your baby steadily. There should be consideration to the size of your baby. There are many choices for nursing pillows to take care of you and your child. Depending on your needs and preference, you may want a pillow that can be used for not only feeding but also for play time as well. The best nursing pillow can fit you very well, is thick enough to prop up your baby, and is easy to clean. Some premium pillows can have extra storage pockets for diapers and burp cloths or fancy designs that suit your taste. In this guide, we recommend the best 10 nursing pillows on the marketing for your specific needs and the considerations for when shopping for the right pillow.